Cowell’s work provides an example of how the public affairs documentary evolved from a traditional journalist-focused role to a chronicle of events from the point of view of participants who shared experiences with the filmmaker. Cowell, who was born in China in 1934, took part as a young graduate in the Cambridge Far Eastern Expedition, an overland trek that took him through the remote mountain passes of Asia and established his interest in Asia. 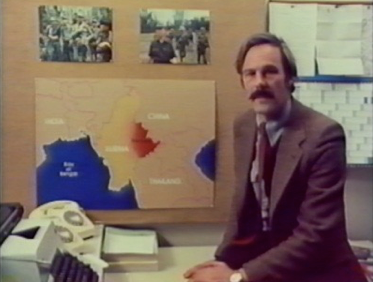 Together with Chris Menges (who later won two Oscars), he produced a highly acclaimed and daring documentary film, Raid into Tibet (1966), which chronicles their travels with Tibetan guerilla fighters opposing Chinese communist occupation. 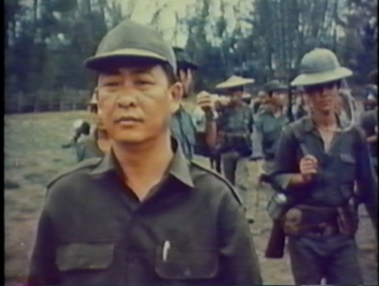 Following the success of this film, Cowell and Menges were invited to record another insurgency, in the remote Shan State of Burma, where they documented separatist activities against the Burmese military junta in the film The Unknown War (1966). In the 1970s, they returned to the Shan State, which covers almost one quarter of Burma’s land area, but their work now turned to the story of how the opium trade was interwoven with the aspirations of the Shan people who were revolting against the Burmese military government and how they supported their efforts through the opium trade. With their unprecedented access to this remote culture, Cowell and Menges witnessed and filmed over time the lives and internal politics of the insurgent armies, watching with dismay as the narcotics trade first became an increasingly important source of revenue, and then subverted the very foundations of the movement for democratic reform in the country. To expose this myth, Cowell produced documentaries that analyze the drug trade from its agricultural origins and use for revenue by insurgents in Burma, to its use by drug addicts and dealers in Hong Kong, and into the halls of the U.S. Congress, where policies were being made which would spend millions of dollars yet have no effect on stopping the trade. 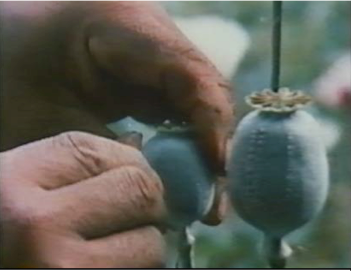 In the 1990s, several of his films focusing on opium were shown on PBS’s acclaimed Frontline series. Cowell wanted to give all the players in the opium drama a voice, and to present an alternative perspective of the drug problem to that being generally portrayed in public discourse. 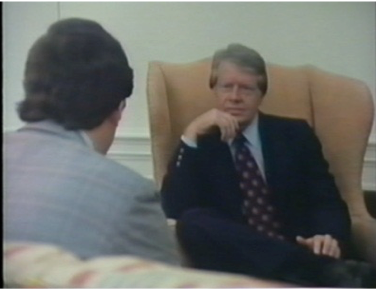 As he observed, the American international drug policy and interdiction efforts were based on the assumption that the opium warlords were simply gangsters to be eliminated, without understanding the larger political and cultural realities of their fight. Cowell’s documentation of political action reveals American drug policy specialists in Washington D.C. as contradictory and mostly naïve, rejecting an innovative proposal from the Shan State revolutionaries in favor of supplying the Burmese military government with helicopter gunships and fixed–wing aircraft to intercept and eradicate the opium trade, measures which had already proved to be ineffective against opium mule convoys. He followed the deliberations of the opposing politicians as they sat in their offices, as they walked down the corridors, down the elevators and through tunnels of the Capitol buildings. These behind-the-scenes negotiations, the frank encounters, the strategic phone calls and the sly betrayals, give unmatched insight into a political climate and the background of drug policy decisions. The power of Cowell’s work comes from his close connections with people at all levels of the drug trade. He goes to the source and interviews the war lords and revolutionaries producing the opium and using it to fund their revolution; he goes to the streets of Hong Kong and talks with the addicts, drug dealers and the police about the realities of the world of drug dealing and consumption; and he shows the U.S Congress making policies about drugs far removed from the actual world of the drug trade. His three decade documentation of the trade demonstrates that the governmental policies which are removed from the real life of the drug addict and drug trade made no impact on the business and in some cases actually supported its growth. The Adrian Cowell Film and Research Collection is a work-in-progress as funding is being sought to preserve and make these materials accessible. 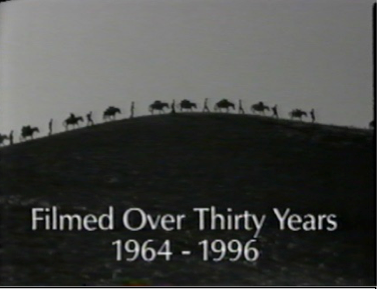 At present, there are efforts to post clips from his films online and to create a collection guide, detailing the entire contents of the collection. In an effort to raise awareness of Cowell’s work, a conference and film series, Fifty Years of Opium and Conflict in the Shan State of Burma: A Visual Retrospective, will take place on the UW campus in Seattle May 29th and 30th, 2015. This conference will introduce Cowell’s work to scholars from a range of disciplines as primary resources for research.